The thoughts and musings of a smart aleck who resides in Manhattan. I speak loudly but I do not carry a big stick. This extraordinary nonfiction book isn't merely a thorough piece of investigative journalism. 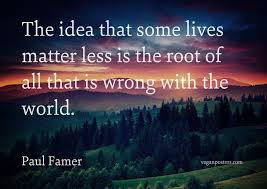 It's an exploration of decency and principle. Dr. Fink is a physician, and a Pulitzer Prize-winning journalist, and she is heroic. While the United States has made many amazing medical advances, it is no revelation that the state of health care in this country is full of quagmires. Fink examines the implications of the choices made by medical professionals during one of the worst natural disasters ever to hit the United States. 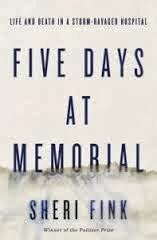 She offers a horrifying window into who did and who did not receive patient care during the aftermath of Hurricane Katrina. I cannot recommend this book enough, especially since our country has seen and will continue to see more natural disasters. Determinations must be made in advance of such crises. Author Denise Kiernan has written a remarkable book about a little-known piece of U.S. history. In 1943 young women, most of whom were recruited from small towns throughout the South, came to Oak Ridge, Tennessee to work on the most classified enterprise of the war: the Manhattan Project. Ms. Kiernan's account of this fascinating piece of American military and civilian history is enthralling. 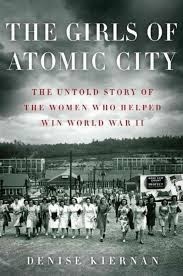 Reading this was like sitting down with the actual "girls" and hearing their stories about this incredible time and place--the dawning of the Atomic Age--from their own mouths. This is a most welcome addition to the canon of World War II history and of women's history. "Some of My Best Friends Died From AIDS"
© Maura E. Lynch. Picture Window theme. Theme images by kelvinjay. Powered by Blogger.